Taking the front fans out of an Mac Pro Early 2008 to clear out the dust? So I unscrewed the screw in the upper right hand corner of the fans encasing that's attached to the motherboard. But I still can't pull them out. It seems like it attached somehow in the lower left hand corner. All I want to do is clean the dust off the fans. What am I missing? 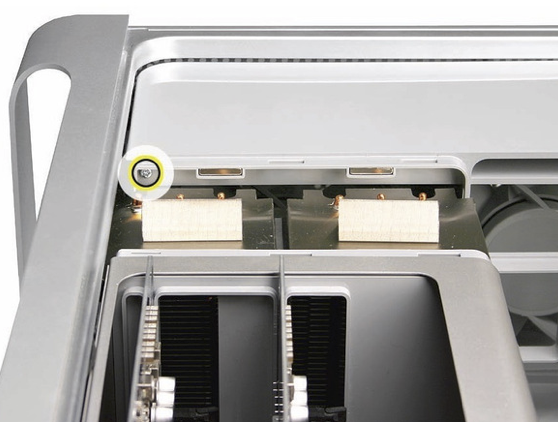 There is only one screw holding the main pair of front fans in the Mac Pro 3,1 - but the assembly itself must be pulled square towards you, as it's slotted... and can be a bit resistant to being removed first time [especially as it's had 10 years to set itself firmly in there]. Note: If you've a full-length graphics card in, you will have to remove it first, in order to remove the aluminium cover over the CPUs. That's magnetic & just pulls away. You'll also find the CPU heatsinks will be clogged more than the fans you're trying to clean. This is what you're trying to overcome - the drag on this channelised slot which keeps it all square, plus the fan plug/socket behind the assembly. 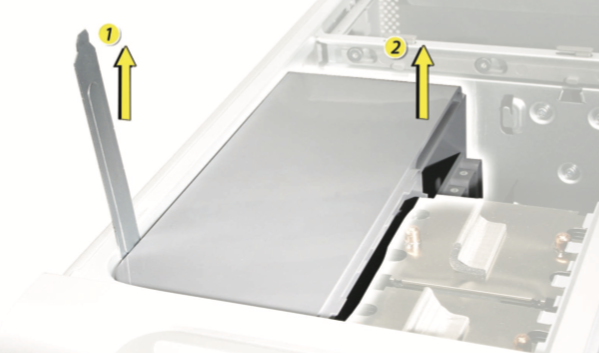 I just looked at iFixit's take apart - though they lump the 1,1, 2,1 & 3,1 all in the same category - they mention a second screw at the bottom of the assembly; which I don't recall ever seeing on a 3,1. I don't have a 3,1 I can open up right now to check - & it is most definitely not mentioned in the specific 3,1 service source manual. That is a first generation (case) Mac Pro. With questions like these it is a good idea to include a picture that shows what you are doing. 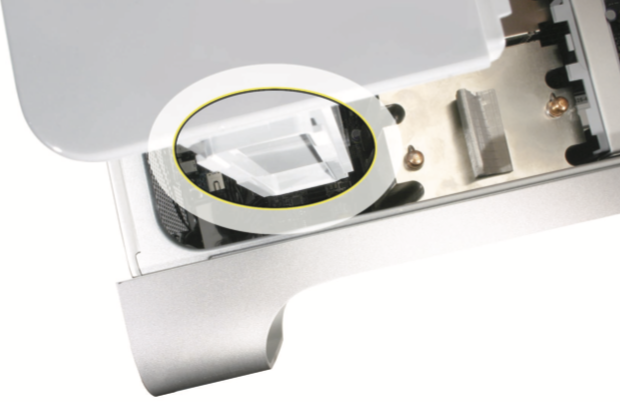 That said I found repair guides on iFixit.com for that Generation of Mac Pro that show that you may need to remove any expansion cards, at least the first one or two drives and the processor heat sink cover before you can remove the fan assembly. I used to have a MacPro 1,1 (similar internals as yours) and I have done that but it's been a while since I had that Mac. 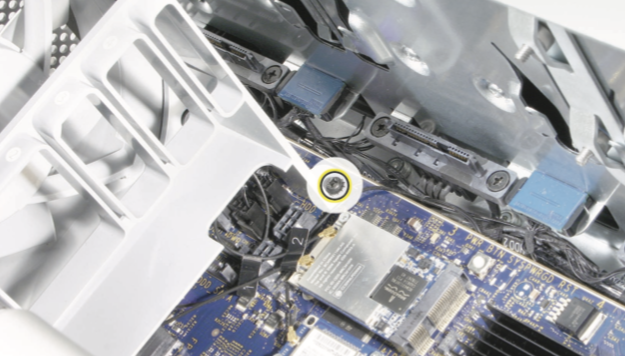 While working on this Mac is not difficult it can be a bit fiddly and you do need to remove a bunch of stuff before you can remove the fans as there may be some fasteners and/or screws hidden by other components that need to be removed first. So check out iFixit.com. Is a quad-core i5 or i7 27" iMac a viable upgrade from a 2008 2.8ghz octacore Mac Pro 3,1? Upgrade or replace early 2008 Mac Pro? MacPro Early 2008, how to hook up yellow power cords to the graphics card?